In his excellent article (see # 5) Raoul Verbist has followed the trails of six couples of spoons and forks of 18th century until the death of their owners and the finding of their graves in the Convent of Sœurs Noires de Pamele of Audenaerde. I have another story tied to a silver item but, in this case, the object of the finding is a birth. On the late summer of 2003 I was with my wife in Madrid for an holiday. During our stay we went to the "Rastro", a market famous for its Antiques shops. The visit wasn't of great satisfaction. 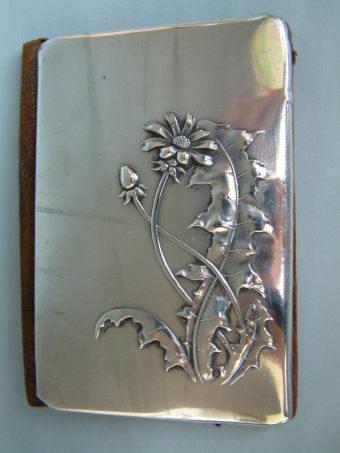 Few pieces of silver were available and Spanish silver was virtually absent. 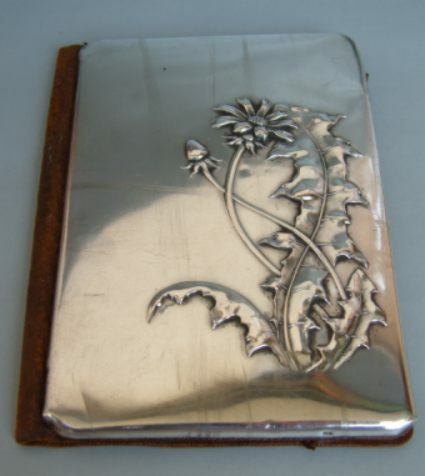 Finally, as a souvenir of our visit, we bought a leather wallet with a silver cover embossed with a pair of stalks of dandelion (Taraxacum officinale) bearing single head of flowers and large leaves with margin cut into great jagged teeth. 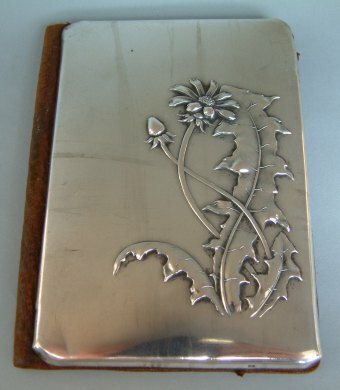 The cover was marked "800" (silver degree 800/1000) and the decoration was a typical example of Art Nouveau style. 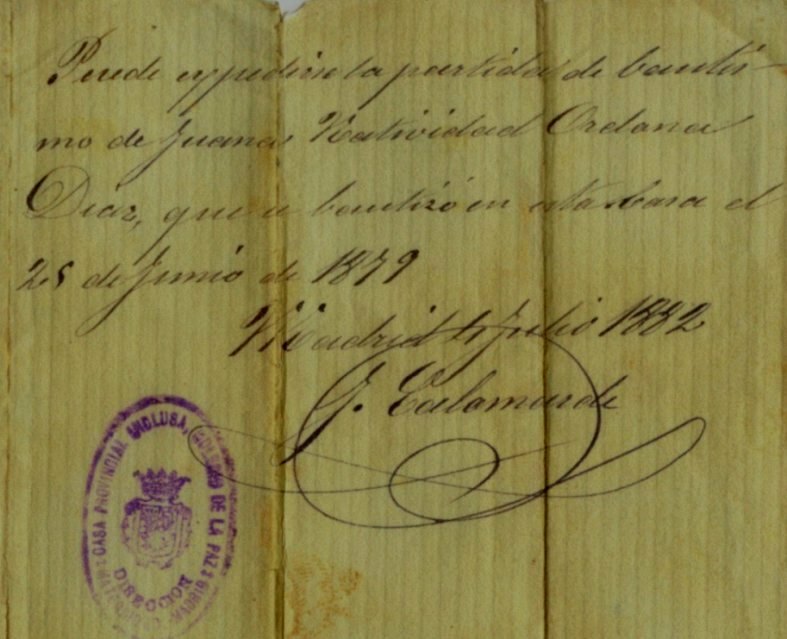 We assumed that the wallet was probably made in Spain at the end of XIX century. Only at the end of our stay my wife made a surprising discovery. 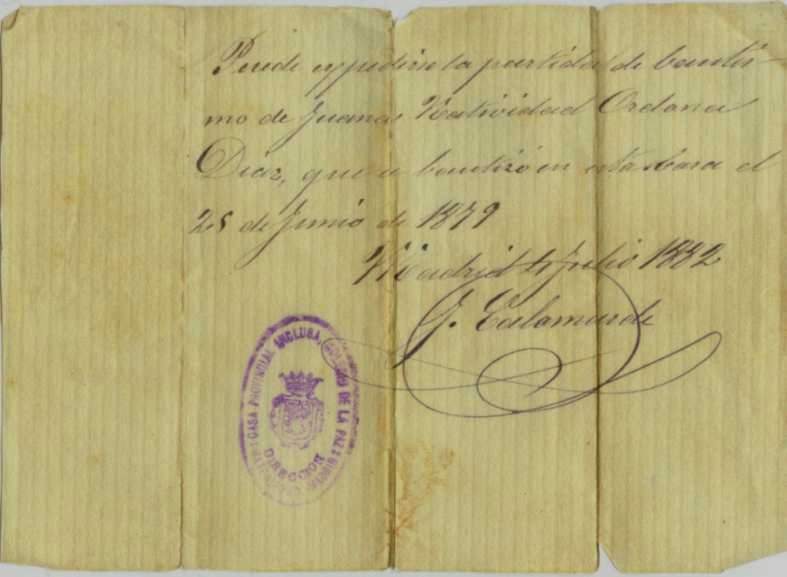 Hidden in a pocket at the interior of the wallet, there was the ancient christening certificate of Juana Natividad Orelana Diaz, who was baptized on June 25, 1879 in the Colegio de la Paz - Madrid. 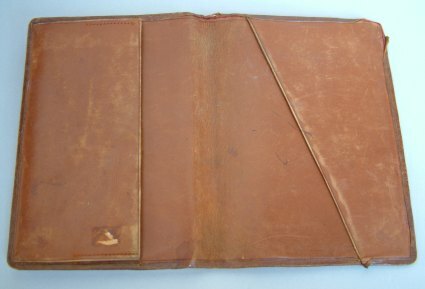 The finding out of the christening certificate was a confirmation of our evaluation about the age of the object, but unvaluable was the emotion and the surprise we have had discovering a document belonged to the ancient owner of the wallet, emerging from the past after a century of forgetfulness. We have a particular fondness for this objects and we handle it with an always renewed emotion.